Collections industry which was perceived to be slow in adapting the latest technologies has completely transformed itself in the last decade. Today the biggest players in the industry are fiercely competing in terms of SEO, Adwords, partnering with software providers, Digital marketing, PCI compliance, Web Services etc. 1. Everything is going DIGITAL instead of manual/paper trail. In the early 2000’s years, majority of tasks in the collection industry were manual. Almost 99% of the accounts that were submitted for debt collections came in by Fax and Snail Mail ( regular postal mail). These accounts were then manually processed by data entry operators or clerks into their internal desktop systems, which were then processed by Mainframe systems or other customized apps. A decade later, everything has changed. Today, nearly all large to medium sized Collection Agencies have their own website to accept collection accounts. It’s way more cheaper and faster. The collection activity starts the very next day the accounts are submitted online. This is a win-win situation for both Clients and the Collection Agencies. Clients can have their accounts serviced faster and get real time online performance reporting, at the same time the Agencies have been able to reduce their back-end costs which were earlier manual in nature. Due to digitization of data, it is a lot more easier to perform batch operations on a large number of accounts efficiently and accurately. If an agency has a high volume of accounts and latest technology by their side, they can easily cut their costs and put smaller players out of competition. Compare this scenario to what Amazon does, they have cut prices so drastically that it is extremely hard for a smaller rivals to compete. These days most clients use standard software products like Quickbooks for accounting. Many dental practitioners use standard software products like Dentrix/Debtimax to manage their patients booking and accounting. 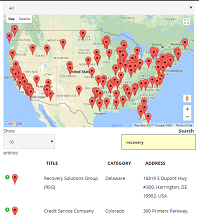 Today, many of these software vendors have now integrated their software with collection agencies, so that the delinquent accounts from their system can be transferred for collections if their client wishes so. Its a win-win-win situation for all 3 parties. Client does not need to extract the data and submit accounts separately to a collections industry, Software vendor has another feature for their platform and obviously the Collection Agency gets more accounts as well. These software vendors will usually do tie-up with more than one agency to give their clients a choice. All this is taking a bite out of the business of smaller collection agencies. Collection agencies who are not able to directly tie-up with software vendors, often get their own custom extractor software built, but it is harder and expensive to maintain in a long term. Thanks to this digitization, today the clients are not restricted to select an agency which is closer to their physical location, but can now shortlist any Collection Agency nationwide which gives them a better deal or a better service level. Bigger Collection Agencies are able to reduce costs due to the large volume they deal in. Already, when you submit an account today for Collections Letters, everything from debtor’s address check to sending of Demand Letters is automated in most larger agencies. In fact, even a considerable percentage of Collection Calls had been automated with the help of Robo calls until recently, till it was stopped by the courts. Bigger agencies able to further reduce costs by outsourcing their Collection Calls by setting up an back-end office in a low cost country like Philippines where a well educated and trained staff is able to speak excellent English in (near) U.S. accent. These outsourced offices can not only handle Collection Calls but can also provide services like Accounting, Client Support, Sales Support and many more. Cost of these centers is far lower than their US counterparts. Leasing office space and hiring/training people in a foreign country is nearly impossible for a smaller collection agency. Now include Licencing costs, Insurance costs, Equipment cost, Compliance cost and Software development cost. Factor in these costs/overheads to per account which is serviced. For larger Collection Agencies this cost is a lot lower per account. As the bigger agencies with their deeper pockets keep becoming more and more global and technologically savvy, they will starve smaller agencies for new business. Ok, this is a little futuristic but not too far off. Once credit history and FICO score was considered as the main criteria to gauge an individual’s financial situation. Newer technologies which involve Data Analytics, will be able to better predict how easy or hard will it be to collect money from an individual. They may even give an idea about an individual’s spending habits, assets and other liabilities. Collection agencies will then be able serve accounts with the appropriate intensity and settlement terms. Thanks to AI, Predictive Analytics and Data Analytics. Where does all the data about debtors come from (for AI to work on)? Ever signed up for a store membership? All your information is stored and shared with “Partner” companies. Now think about all these electronic phone bills, utility records, loan records, club memberships, online shopping…. everything is stored in digital records. Not all, but lot of these companies share your data with their partner/3rd party firms. Overall it is hard to know where all this digital information eventually flows, but large chunks of this data will land up with Data Aggregator companies from the above mentioned sources. This information is perfect for data analysis or analytics. Algorithms of AI help to put all these little pieces of information together providing very valuable information about a person for a collection agency. 5. What about the Collection Law firms? Thankfully the work of judges and court proceedings will continue to require attorney’s physical presence for the foreseeable future. Therefore the collection law firms are relatively safer, but not immune. Increasingly bigger law firms can train assistants at the low cost locations globally, even outside USA. There is almost no clerical work which cannot be done outside USA. Your legal file can easily be prepared at an outsourced location by a trained subject matter expert. The main lawyer is there only to do a final proof-read/assessment and/or do the final signature. Only the smartest, largest and technology savvy will survive. We are likely looking at consolidation in collections industry in the coming years. Newer players would need out-of-the box ideas to compete with the bigger players and sufficient funding to get them going for a while. This is Nexa’s own in-house analysis and we have shared our rationale behind it in the above article. 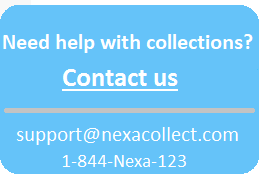 Please email us at support@nexacollect.com for your feedback.